It’s so common to watch videos on YouTube and being uploaded every then and now however; just uploading a small video clip of a performance of dancing or singing and then looking for audience can be of a hard task. So for grabbing attention of maximum number of audiences it is important to have a high-quality video along with a video editor where files can be merged, add music, tiles, transitions and much more. Everything that you need must be made certain before purchasing a program as to satisfy your requirements. With no doubt, fancy software might prove to be difficult and complicated to use and the ones who do not know much about the basics are bound to stuck in it. 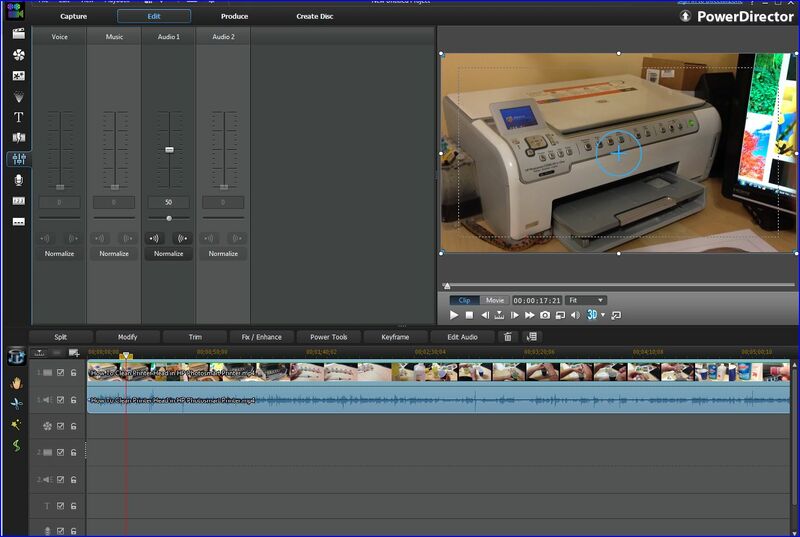 a simple tool can serve you the best features too so for now, lets dig in and discover more about the number one ranked video editing software that is CyberLink PowerDirector 12 Deluxe. numerous cameras with the cheapest price than the rest which is $49 and also supports 4K videos easily. It needs a 2GB RAM of Microsoft Vista 7 or 8 and 1024 x 768 resolution to make the Power Director work. It has three modes that can accessible that are Easy editor, Full Feature Editor and Slideshow Creator according to the user’s level of using it. Editing is super fast and has a good, quick performance saving time. Theme Designer tool permits the beginners to make their projects in no time with only 3 step process. The user only needs to select a template, pick media and then save it. Movies from Facebook, YouTube, and Daily Motion can also be shared. CyberLink also offers tutorials on website to help the beginners learn much more techniques than they are aware of. PowerDirector also facilitates nearly all file types like MPEG, MKV, MOV and also fewer ordinary ones!